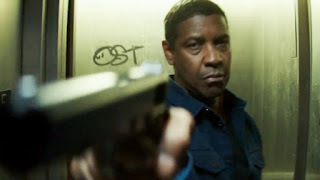 Box Office: Denzel Edges Out Streep as 'The Equalizer 2' Takes the Top Spot! While Denzel's sequel only earned 2.5 stars form our team it was still enough to take the top spot edging out the week's other debut sequel Mamma Mia: Here We Go Again! by $1.5M. After the flop that was Roman J. Israel, Esq. it's nice to see that some movie stars can still deliver returns...if they stay in genre. The sequel to 2008's ABBA inspired surprise hit may not have managed to take 1st place but they did beat the opening weekend of the original by around $7M. Of course, like most surprise hits Mamma Mia came with a slow burn box office and massive staying power, whether the follow up has that kind of juice remains to be seen but if history has any say we can count on this one making it's money back...and not much more. While it's not burning up the box office Ant-Man and the Wasp's success is a strong lesson to Marvel for future third-tier characters. They don't all have to be $300 million dollar blockbusters. Make smaller, less expensive genre films between the blockbusters and you'll keep everyone happy without diluting the spectacle. Even for Blumhouse's ultra-low budget model this is a disappointing start, BUT, because of that model Unfriended: Dark Web accomplished something none of the other new releases came close to doing, tripling their budget in their opening weekend. With a reported budget of only $1 million it becomes increasingly clear what a gold-mine of a business model that Jason Blum has created. At the end of the day film is a business and in an industry where losing one's shirt is almost the rule instead of the exception Blum has found a way to ALWAYS turn a profit.